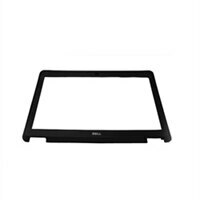 LCD Plastics, covers, and accessories are replacement cosmetic components for laptops. LCD Plastics, covers, and accessories include the LCD cover, bezel and rubber bumpers. The Type of Plastic column in the Tech Specs section will tell you the type of this product. Most of these products are pretty straight forward. Please note that for LCD screen covers, it is important that you know the size of your LCD screen. LCD covers and screens come in various sizes. Similarly, rubber bumpers can come in different sizes and styles for a computer. To aid you in your selection of the right LCD plastics, we recommend that you use either the Service Tag look up or the System Drill Down feature in the Parts For Your Dell™ tool. This will allow us to correctly identify your LCD Plastic requirements and offer compatible solutions.